If you opened your virtual wallet, looked down on your collection of Bitcoins and wondered ‘What on earth can I spend these on?’, then today is your lucky day. 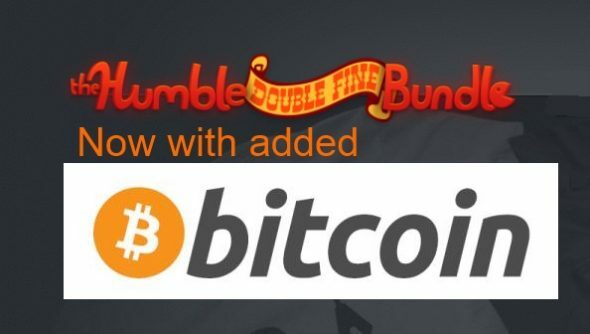 Double Fine are now accepting the digital currency for their Humble Bundle, so you can now trade them for the likes of Psychonauts, Stacking, and Brutal Legend. Take a trip over to the Humble Bundle website. It would be a far more advisable place to spend your virtual money, rather than the ‘Illicit drug and gambling’ areas of the web that Wikipedia reliably informs me Bitcoins are often used for. Your money goes to charity and/or Double Fine, and you can grab yourself an awesome game in the process.